The Computer Division completes the “Genesis Effect” sequence for Star Trek II: The Wrath of Khan. The scene, which shows an initially lifeless planet being rapidly transformed by lush vegetation, is the first completely computer animated sequence in a feature film. The Computer Division’s Graphics Group creates their first film-resolution image, “The Road to Point Reyes.” Near the end of the year, animator John Lasseter is invited to come up to the Bay Area to do some freelance work with the Graphics Group. A partially completed version of “The Adventures of André & Wally B.” premieres at SIGGRAPH. It is the first short film created by the future animation studio, featuring complex flexible characters, hand-painted textures, and motion blur. It is also the first example of character animation in the young medium of computer animation. At SIGGRAPH, the Computer Division also shows off its prototype Pixar Image Computer. The Computer Division completes the Stained Glass Knight sequence that appears in the film Young Sherlock Holmes. Steve Jobs purchases the Computer Division from George Lucas and establishes the group as an independent company, “Pixar.” At this time about 40 people are employed. Pixar and Disney begin collaboration on CAPS, the Computer Animation Production System, which would revolutionize the creation of traditional animated films. The first check written to Pixar by a client after its incorporation is from Disney, for work on this project. “Red’s Dream” is completed and premieres at SIGGRAPH. A portion of the film is rendered entirely on the Pixar Image Computer. Pixar’s proprietary animation system, identified to the outside world as Marionette but internally known as Menv (“men-vee”), short for “modeling environment,” comes online. Pixar’s proprietary renderer, RenderMan®, also makes its internal debut. “Tin Toy” is screened at SIGGRAPH, with the finished film premiering later that year at the Ottawa International Film Fest. “Tin Toy” will go on to become the first computer animated film to receive an Academy Award® when it is named Best Short Film (Animated) the following year. Pixar begins making commercials. The first is an ad for Tropicana orange juice, “Wake Up,” directed by John Lasseter. Andrew Stanton and Pete Docter join the company. By the end of the year, each animates a commercial – Andrew Stanton completes “Quite A Package” for Trident, and Pete Docter animates “Boxer” for Listerine. Pixar’s commercial work gives the company invaluable experience in pitching, storytelling, and working with clients, and allows it to develop and refine its production pipeline. Pixar begins work on the project that will become Toy Story, while continuing to produce commercials and other short materials, including spots for public television. Toy Story, the world’s first computer animated feature film, is released in theaters on November 22. It opens at #1 that weekend and will go on to become the highest grossing film of the year, making $192 million domestically and $362 million worldwide. Pixar’s initial public offering takes place just days later, on November 28. It is the largest IPO of the year. Pixar announces that it will stop making commercials in order to concentrate on longer-format and interactive entertainment. The Walt Disney Studios and Pixar Animation Studios announce an agreement to jointly produce five movies over 10 years. Groundbreaking for Pixar’s Emeryville studio begins. Pixar moves to its new building in Emeryville, California. “A Bug's Land”, a themed land based on A Bug’s Life, opens at Disney California Adventure Park. Pixar celebrates its 25th anniversary. Construction of the second new building on Pixar’s Emeryville campus is completed. “Toy Story Land” opens at Hong Kong Disneyland. "Cars Land" opens at Disney California Adventure Park. Pixar, in partnership with the San Francisco Symphony, launches "Pixar in Concert", a symphonic rendition of the scores of Pixar films. The Good Dinosaur, accompanied by the short film “Sanjay's Super Team,” is released in theatres on November 25. Pixar releases its Academy Award®-winning RenderMan® software for non-commercial use. Online educational program Pixar in a Box is released in partnership with Khan Academy. The Science Behind Pixar exhibit opens at the Museum of Science, Boston. Morelia International Film Festival in Morelia, Mexico. It went on to become Mexico's #1 highest grossing film of all time. Coco is released in North America on November 22. Pixar’s first external exhibition of original artwork, Pixar: 20 Years of Animation, opens at the Museum of Modern Art in New York. The late story artist Joe Ranft is named a Disney Legend. Ed Catmull and John Lasseter also assume leadership of Walt Disney Animation Studios. Pixar celebrates its 20th anniversary. "Finding Nemo Submarine Voyage” opens in Tomorrowland at Disneyland Park in California. “Toy Story Midway Mania!” opens at Disney parks in California and Florida. Toy Story films, opens at Walt Disney Studios Park at Disneyland Paris. The TV special "Toy Story Of TERROR!" airs on ABC. The holiday TV special "Toy Story That Time Forgot" airs on ABC. "Ratatouille: The Adventure" opens in Walt Disney Studios Park at Disneyland Paris. Finding Dory, accompanied by the short film “Piper,” is released in theatres on June 17. "The Toy Story Hotel" and "Buzz Lightyear Planet Rescue" attraction debut with the opening of Shanghai Disney Resort. Cars 3 accompanied by the short film “Lou,” is released in theatres on June 16. Incredibles 2 is released in the United States on June 15, 2018 and sets the record for best debut for an animated film of all time, eventually grossing over $1.2 Billion dollars worldwide - Pixar’s biggest grossing film yet! 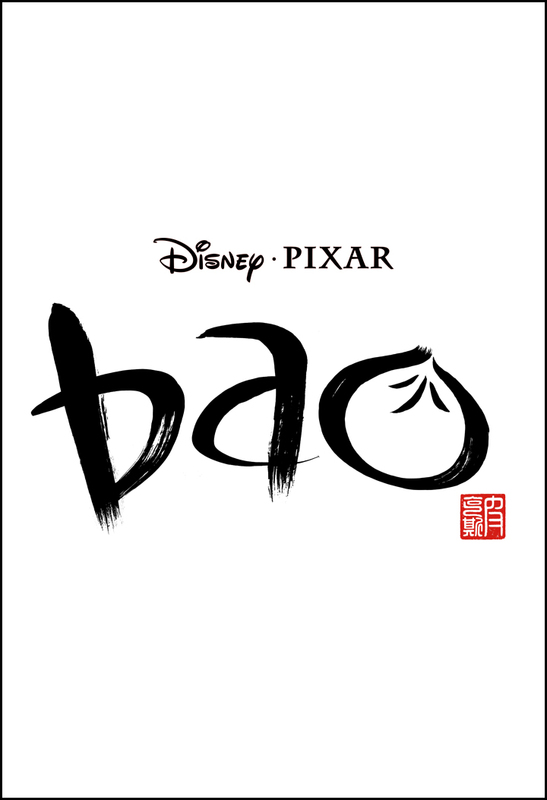 “Bao”, written and directed by Domee Shi is released with Incredibles 2 on June 15, 2018.